Lost Your Car Fob? 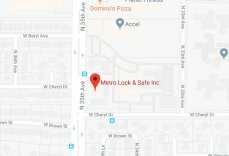 Call a Phoenix Locksmith | Metro Lock & Safe Inc.
Posted on August 21st, 2014 by Metro Lock & Safe Inc.
A majority of cars have keyless entry these days. When you have your hands full of groceries, equipment, children, or all of the above, having remote entry into your vehicle is a necessity. The dealer who sold you the car likely told you how expensive it is to get a replacement fob from a dealer. It also takes time. However, the dealer is not your only option. Calling a Phoenix locksmith is a less expensive and more immediate option. A fob, also called a remote or transmitter, uses a coded signal that is sent to a vehicle. The signal then locks or unlocks the car’s door or trunk. Because the signal is coded for a specific automobile it should only lock and unlock that vehicle. Cars which utilize a fob for remote entry also have a key to open the doors. Generally the key is attached to the fob. When the key gets lost the fob goes with it. Fobs can also get damaged and stop working. In either case it is necessary to replace the fob. Many people think that ordering a fob from the dealer is the only way to replace one. This is not the case. A locksmith has the ability to program a new fob to the signal code unique to your car. This is generally at a significantly reduced price than the replacement a dealer offers. In addition, a locksmith will come to you. You can get your replacement in less than half an hour. Fobs can add immeasurable convenience to a person’s busy life. When one is broken or lost, skip the dealer and call you local locksmith for a replacement. You will save both time and money.